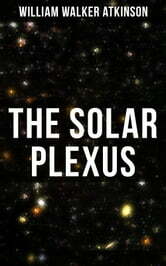 This book will give you essence, substance, gist, and spirit of the best teachings concerning the Solar Plexus, or Abdominal Brain,—teachings both Oriental and Occidental, both ancient and modern. Here you have the gist of the Solar Plexus Teaching stated in condensed form, without fanciful trimming, fringes, or additions attached in order to make the teachings "fit in" with some particular metaphysical theory. William Walker Atkinson (1862-1932) was a prolific writer. His works treat themes related to the mental world, occultism, divination, psychic reality, and mankind's nature. They constitute a basis for what Atkinson called "New Psychology" or "New Thought".